Jase Robertson The Inspirational Life story and Hilarious Adventures of Jase Robertson; Duck Commander COO, Faithful Family Man, and Creator of the Triple Threat Duck Call By Patrick Bunker Duck Dynasty has become a cultural phenomenon in America in addition to a wide range of other countries across the world in a relatively short amount of time. Jase Robertson is one of the stars of Duck Dynasty and he is a positive role model both on and off the screen. This book was created to teach people about the life and accomplishments of Jase Robertson. You will learn about Jase’s humble Louisiana upbringing where he lived a simple life. Hunting, learning, and working were the daily activities during Jase’s childhood. He grew up working with Duck Commander, which is the family business. This early exposure to business is responsible for the entrepreneurial mentality that Jase has today. When Jase is not working on the family business or going hunting, he is spending time with his family and spreading the word of God. Jase considers himself to be a very religious person and he enjoys teaching other people how to become religious too. Jase has developed quite a following over the years and today he is contracted to make numerous public speaking appearances. 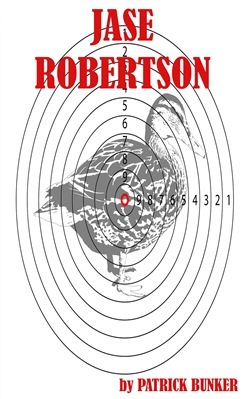 Acquista Jase Robertson in Epub: dopo aver letto l’ebook Jase Robertson di Patrick Bunker ti invitiamo a lasciarci una Recensione qui sotto: sarà utile agli utenti che non abbiano ancora letto questo libro e che vogliano avere delle opinioni altrui. L’opinione su di un libro è molto soggettiva e per questo leggere eventuali recensioni negative non ci dovrà frenare dall’acquisto, anzi dovrà spingerci ad acquistare il libro in fretta per poter dire la nostra ed eventualmente smentire quanto commentato da altri, contribuendo ad arricchire più possibile i commenti e dare sempre più spunti di confronto al pubblico online.